Mark Evans has this to say “There is no lilac essential oil – the yield is non-existent. There is no lilac absolute – many attempts have failed. 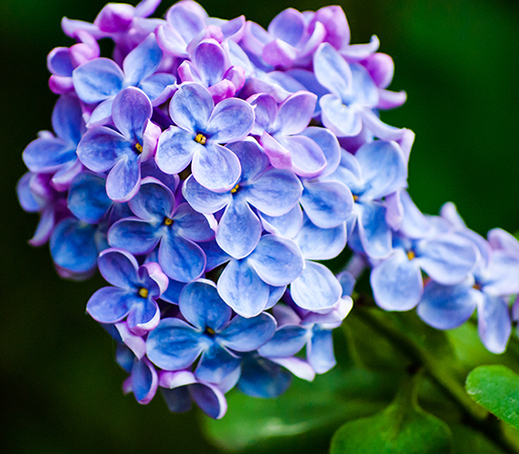 Throughout history the desire for the beautifully floral scent of lilacs has spawned many different blends, fragrance oils and butters and although these have become gradually more sophisticated and complex as new materials are discovered, they are all still just imitations of the naturally sweet floral delight of the natural lilac. Even the so called lilac pomades of the past were actually perfumed with a mix of benzoin, styrax and hyacinth pomade. So it really is a great privilege to offer small amounts of this completely natural, completely real extract of lilac flowers. The yield of the CO2 extraction is small and the precious result is golden and waxy with a scent that is gentle, sweet, floral, balsamic and green with an earthy, slightly cresol-like undertone. After a while on the smelling strip, the scent turns quite spicy and cinnamon-like.